Make Premium Cocktails at Home - Powering U - What Motives U? I had an opportunity to try out this product at CES 2019 in Las Vegas. Technology is evolving by leaps and bounds. This is a new product that will be doing that. Here is a product that will change your lifestyle, keep money in your pocket and you can become your very own bartender at home. Bartesian is a cocktail maker machine, which can help you to make premium cocktails on-demand at home. With the availability of Bartesian, making delicious cocktails is not difficult anymore. You can create delicious cocktails by yourself with ease because all the required things are present inside the capsule. To get your required flavor you just have a need to add the basic spirits such as vodka, gin, rum, and tequila just according to your choice. To make your amazing cocktail is as easy as one-two-three with Bartesian. You can make your Premium cocktails at the touch of a button. You just have to insert the capsule in the Bartesian, select the strength according to your level and the next job is up to Bartesian. Bartesian knows well how to mix a perfect cocktail for you each time whenever you are going to make a premium cocktail for you. Put an amazing cocktail by just inserting one capsule and that is it. Features of Bartesian Here are some amazing features of Bartesian which can make it your first choice with ease. 1. 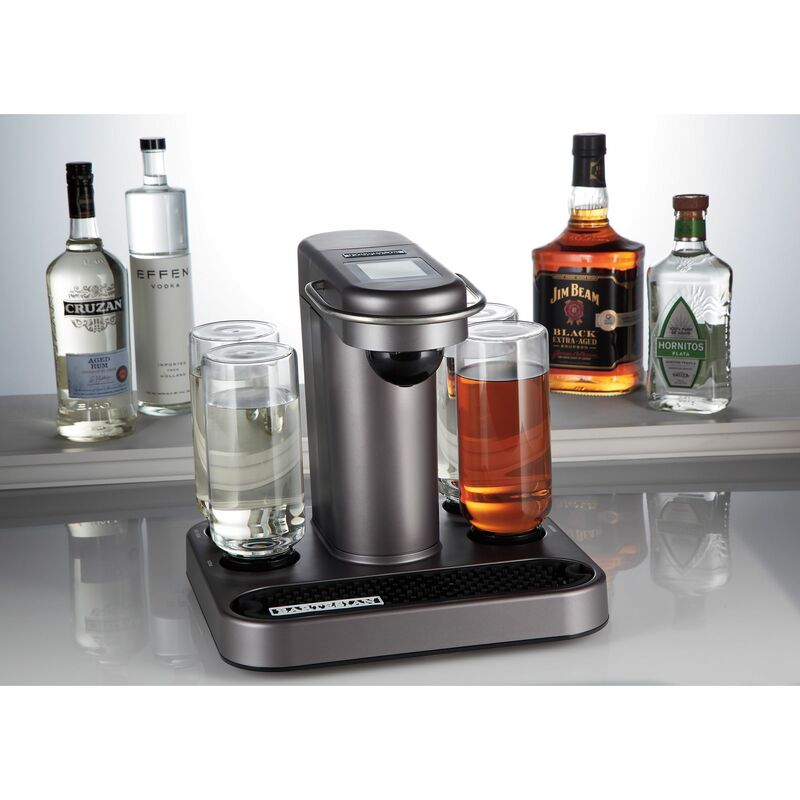 Simple interface To make Premium Cocktails on Demand and at home was never easier before the arrival of Bartesian. Bartesian came with the simplest interface, which has just three buttons and is highly simple to use and to get your desired premium cocktail with ease. There is nothing can be more rewarding than just pushing a single button to get your favorite cocktail. You just have to push these simplest buttons and let the Bartesian do the next job. 2. Cleaning is much easier You can never find any cocktail maker machine, which is going to be as easier to clean as Bartesian. You just have to grab out the cocktail tray simply and rinse that under warm water to clean that in a perfect way. After cleaning and drying that you just have to pop that back to the machine. How easy is that to do? The reservoirs themselves are easy to clean and this makes the Bartesian easiest and quickest to clean and get back to the action. As the reservoirs are being used to store the alcohol, therefore, you do not have to clean them on a regular basis. 3. Intelligent barcode system Bartesian is equipped with an advanced and intelligent barcode system. This system can help the Bartesian to read the recipe of your desired cocktail with ease. And the Bartesian then can easily provide you custom prepared cocktail according to its unique method. 1. Bartesian is highly simple to use. You do not have to learn any hard and fast rules to make your desired cocktail. 2. As the Bartesian machine is lightly weighted so it can be Easy to store after use. 3. Bartesian has a smart and elegant design, which can be a perfect addition to your stylish kitchen with ease. 4. With the help of Bartesian selection and making of your next drink is a bit simpler. You just have to tell the Bartesian which cocktail you want through a barcode and you can get your desired results perfectly. Bartesian is providing an easiest and simplest way for the cocktail lovers to enjoy their amazing drink at home. Do not waste your time and order one for yourself as soon as possible.